In September of last year, the Hungarian economic and political weekly Figyelő published a much-discussed article that speculated about the future of the country’s largest television broadcaster, RTL Klub. “Rumours have been circulating for some time about the sale of RTL (rumours that RTL has always tried to deny), but the [fact of the] company turning a loss and other developments seem to indicate that now it’s more than rumours,” the article stated. The article raised eyebrows given the context: Figyelő was recently acquired by Mária Schmidt, a Hungarian oligarch closely associated with the government of Prime Minister Viktor Orbán. Its current editor-in-chief, Tamás Lánczi, was previously head analyst at Századvég, a think tank widely regarded as the brains behind much of the current govermnent’s policy making. RTL Klub, on the other hand, is seen as Hungary’s most powerful media outlet that is independent of the government. The station and its parent company, Magyar RTL Televízió Zrt. (M-RTL), have repeatedly clashed with Orbán administration officials. In this light, Figyelő’s article was interpreted as a renewal of past hostilities. This interpretation makes more sense if one considers the consensus among independent observers of the Hungarian media landscape that important articles in government-friendly media outlets are only published if someone higher-up has given political blessing. The September article – as is custom when the government wants to send a message – bore no byline and was republished nearly verbatim by other goverment-friendly outlets. RTL issued an unusually angry response to the article. The day after publication, Péter Kolosi, RTL Klub’s deputy CEO, posted a sternly worded statement on Facebook disputing Figyelő’s statistics and firing back at what the station perceived as a wider campaign against it. The importance of RTL Klub in the Hungarian media landscape is hard to overestimate. After the fall of communism, small private television stations immediately appeared in Hungary, but it was not until 1997 when the national media authority decided to grant two countrywide licenses. After a disputed and highly politicised selection process, one of those licenses was awarded to M-RTL, owned by the Luxembourg-based RTL Group, whose majority shareholder is the German conglomerate Bertelsmann. 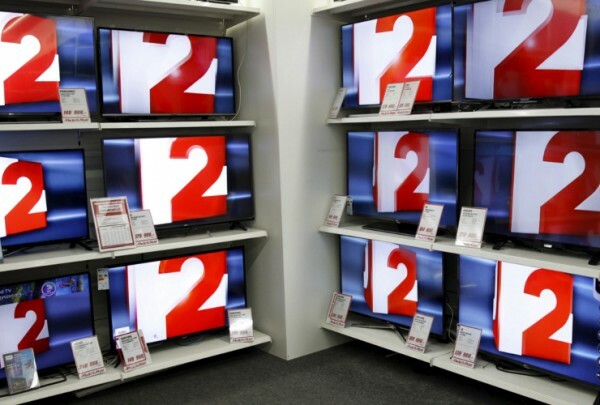 Within a matter of weeks, RTL Klub and the other licensee, TV2, became the kings of the Hungarian media landscape. Their influence was fuelled by Hungarians’ appetite for television: Hungary regularly sits at or near the top of television-viewership rankings in the EU. In the third quarter of 2017 the average Hungarian spent a whopping 265 minutes in front of the tube. Television broadcasters – and especially big national players – are thus incredibly powerful actors, not only within the media market but also in Hungarian society more broadly. While it is not impossible to become famous or popular in Hungary without appearing on RTL Klub or TV2, it is very difficult – even in the age of YouTube and Instagram. Owning one of those stations makes you powerful; owning both means almost total power. 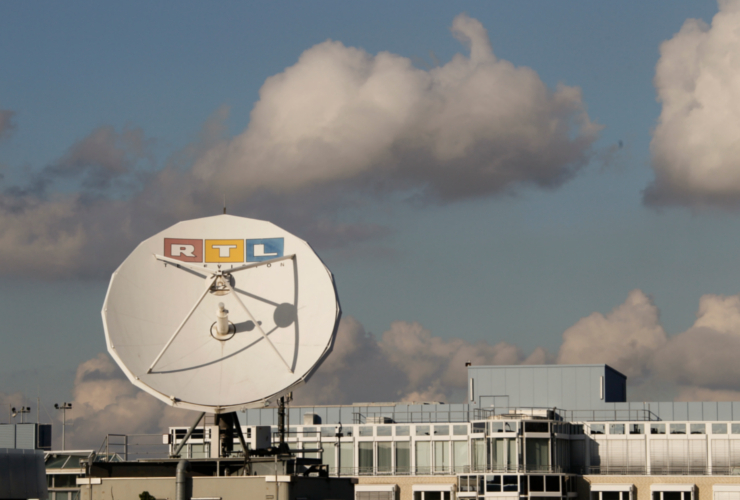 RTL Klub has won the two-horse race in the private broadcasting sphere between it and TV2 for most of the past 20 years, leading in terms of both profit and viewership. This made TV2 an easier target for the Hungarian government. TV2’s former owners, the German ProSiebenSat1 group, sold the broadcaster to two TV2 managers in 2013, a move that was widely seen as paving the way for a government takeover. The latter became effective reality in October 2015, when the station was sold again, this time to Magyar Broadcasting Co. Kft, a company owned by film producer and staunch Orbán ally Andy Vajna. Since then, the viewership gap between RTL Klub and TV2 has widened. Moreover, the latter’s nightly news programme is now seen as one of the government’s nastier propaganda tools, faithfully parroting the official line. RTL Klub, however, has proven a tougher nut to crack, in part because it has shown a willingness and ability to fight back against attempts at government encroachment. When, in June 2014, the then-newly elected Hungarian government threatened to introduce a new advertisting tax that would have forced RTL to hand over a full 50 percent of its profits, the company responded in full force. RTL Klub’s nightly news programme, which for 17 years had been a reliably timid affair, with little political coverage and dedicated mostly to crime and feelgood stories about cute animals, suddenly became a hard-hitting journalistic heavyweight. The station’s reporters complicated life for many government politicians and oligarchs, whose shady deals were beamed into millions of Hungarian homes. Even the Orbán family, previously tacitly off-limits to most Hungarian media, began to be featured regularly. Orbán’s daughter’s wedding and his son’s curious religious rebirth, for example, were both covered extensively. Visibly stunned, the government responded with vague threats about sending in the tax authorities to look for skeletons in RTL Klub’s closet. But – after warnings from Brussels and possibly from German political circles – the Orbán administration ultimately backed down and lowered the tax rate to a much more friendly 5.3 percent (raised to 7.5 percent in 2017). RTL Klub’s journalists took a slight step back from their coverage of Fidesz and an uneasy ceasefire ensued, even as the channel remains in the eyes of many observers a unique critical voice in Hungary’s television landscape, including on issues related to corruption and human rights. In 2018 there are very few powerful actors in Hungary not completely under government control. M-RTL, a foreign-owned media company holding sway over millions of Hungarians, is one of them. Yet few doubt that if Orbán resolves to crush this “tough nut”, he likely has the means to do so – unless someone even more powerful intervenes. Yet putting hopes in RTL Klub’s foreign owners and their relevant supporters – particularly German politicians – would be risky. Foreign ownership used to be regarded as a safeguard against government interference in Hungary. At least since 2014, however, that is no longer the case. That summer, the Orbán government took on not only RTL and Bertelsmann, by way of the advertising tax, but also another German giant: Deutsche Telekom. The latter’s Hungarian subsidiary, Magyar Telekom, was the owner of Origo, one of the country’s largest news websites. At the time, Origo regularly published articles that were a thorn in the side of some of the government’s most influential figures. In a first sign of trouble, on June 2, Magyar Telekom dismissed Origo’s editor-in-chief, which led to the resignation of most of the website’s journalists. It then sold the whole operation to a company controlled by the family of the governor of the Hungarian National Bank, another Orbán associate. Today, Origo is widely seen as another cog in the government’s well-oiled propaganda machine. 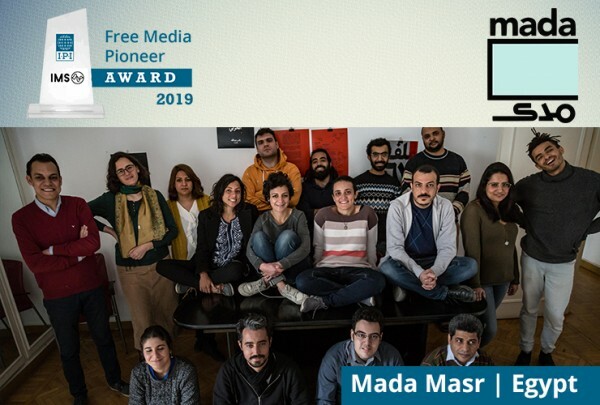 There are various theories about how and why Magyar Telekom decided that it was no longer in its interest to finance a news website critical of the government. What is clear, though, according to reports, is that they were persuaded by the government. Origo, like many other Eastern European media companies, never made much money, and Deutsche Telekom’s decision to withdraw from the Hungarian media market has mirrored that taken by other foreign companies since the country began sliding down an authoritarian path. Unlike Origo, RTL Klub has consistenly turned a profit for its owners, so RTL Group may be more reluctant to sell or even compromise. It has proven capable of pushing back against government pressure. But the Orbán government has a vast arsenal to deploy if it chooses to. Although the advertising tax failed, there are other methods that have already been tested on a smaller scale. Currently, all Hungarian cable providers are legally required to offer RTL Klub to all customers as part of their “basic” package. This provision, however, could be changed easily. Since 2013 – the year it was sold by ProSiebenSat1 – TV2 has received about 75 percent of government advertising spending at commercial television stations. This figure is already disproportionate, given the fact that RTL Klub continues to lead TV2 in terms of viewership. But RTL Klub’s ad revenue could be further damaged if the government convinced private companies to spend their money elsewhere. And this may, in fact, not be very difficult: Ever since Orbán came to power in 2010, the lines between private and public companies have become progressively blurry. A large number of supposedly private companies are, in fact, controlled by government-friendly politicians or oligarchs. The September article in Figyelő clearly suggested that somebody in the government is thinking of doing something about RTL Klub. Any action may come down to how RTL Klub behaves during the campaign preceding national elections in April 2018. Orbán is poised to win again by a large margin; if he does, the fate of Hungarian media will be up to his goodwill. This article was updated on Jan. 16, 2018.